It wasn’t a problem before. In the old days, if you were not present at the board when the game was supposed to start, they would just start your clock. But all that changed in the Dresden Olympiad in 2008. 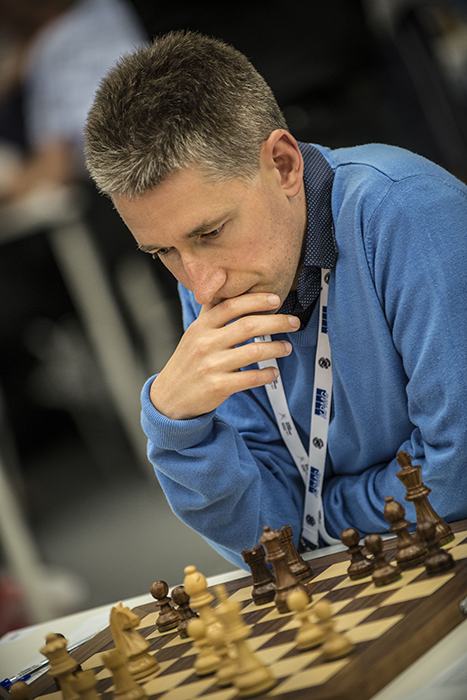 Tarjei J Svensen and Jonathan Tisdall take a look at the issue, including gathering together comments from a range of chess players and journalists. So in other words, if you are not at the board when the bell goes off, you lose the game. 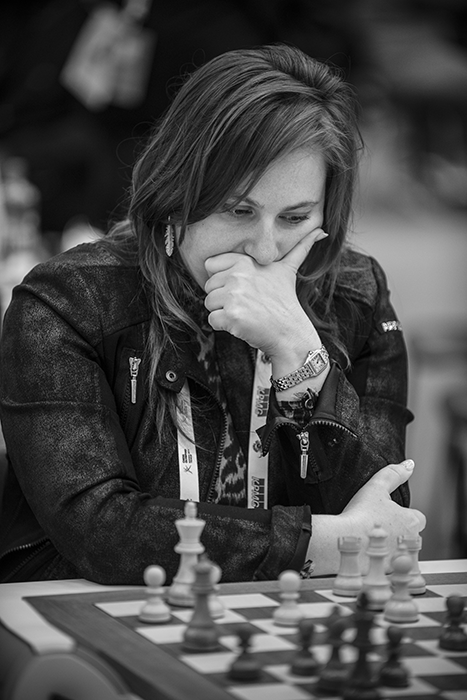 In the 2014 Chess Olympiad there have already been several cases of players and even teams being forfeited for not being present when the countdown to the start of play reaches zero. As in the Istanbul 2012 Olympiad, the rule wasn’t strictly applied in the first round here in Tromsø. The start of the event was delayed by 15 minutes when players were still undergoing security checks. But in the second round, problems started. The Palestinian men and women were not able to reach the playing hall in time. A journalist at their hotel said there was a communications problem – very few of the Palestinian players speak English - and they didn’t realize that on that day there appeared to be a shortage of prompt buses from their hotel to the venue. I explained it to the Palestinian women: I really hate this rule. But I have to apply it. In the second round, 10-year-old Murara Umuhoza Layola burst into tears when she was forfeited. I became very sad. I didn’t know where to go. And that wasn’t the only case. Shortly before the start of the same round, an Iraqi player told an arbiter that he felt unwell and wanted to get some water. Unfortunately, he returned too late to the board and was forfeited. Is this going a bit too far or is it a reasonable rule? In an Olympiad, where 75 percent of the participants are amateurs having a two-week chess holiday, the zero-tolerance rule is completely misplaced. I have a clear opinion on that. We have to clearly separate top professional tournaments and amateur tournaments. In top events I am absolutely in favor of zero tolerance. Not only that, but I would suggest that there, all players should be in their place at least 10 minutes before the game starts in order to make the photographers’ and cameramen’s job easier. But if we are talking about amateurs, it’s just ridiculous. One of the big supporters, current ECU President Silvio Danailov, considers such cases “unfortunate” and also thinks it would be a good idea to separate professional and amateur events, though he still envisions punitive action. Maybe it’s too strict and such cases are unfortunate. I think possibly a fine would be more effective. We also asked a few top players about the zero tolerance rule. Yes, zero-tolerance is just a terrible rule. You shouldn’t have it here and organizers should insist on not having it. There’s no reason. When there are so many people, it’s very difficult for everyone to come in at once. I understand the rule when you have officials and you want to make the first move – if the player isn’t there then it’s a problem. So this zero tolerance, it should maybe be only on the first five tables. And it’s too strict that you have to sit at the table. It’s of course a bit stupid sometimes. Let’s hope arbiters will change the regulations. There are rules which you have to respect, like it or not. They made this rule, and if you are a participant, you have to be aware of it. I am not a big fan, because we have to come about half an hour in advance because of the security at the gates. That means I have to be here much earlier to make sure I don’t miss the start and get forfeited. But on the other hand, I also understand that in sport you have to be on time, especially if there is live coverage. Then it makes sense. For a player to be late five minutes wouldn’t make any difference in a game, but there are some rules you simply have to live with. Generally, when they bring out such a rule, I believe that whether it’s the top players, Magnus or somebody else, they should all use the rule. And I’m not sure that they’re enforcing it strictly. Danish GM Jacob Aagaard had an interesting idea on how to change zero-tolerance on his blog. I agree that it is not correct for a player not to be present at the start of the game. Consider this in another sport. At top level. Can’t be done. On the other hand, if Andy Murray needs the toilet two minutes before a Wimbledon match because he is unwell, they start five minutes later. So I propose that it should be considered as fulfilment of the Zero Tolerance Rule that the player would have to fill out the score sheet before start of play and be ready to play. The definition of ready to play should be vague so that the organizers could enforce it with warnings, announcements and common sense. But the big point is that if the player is late, he should immediately get a time penalty of 30 minutes. If he has not arrived after 10 minutes, the game has been forfeited. What’s your opinion on the zero-tolerance? Too strict or necessary to professionalize the sport? Feel free to share your opinion in the comments.